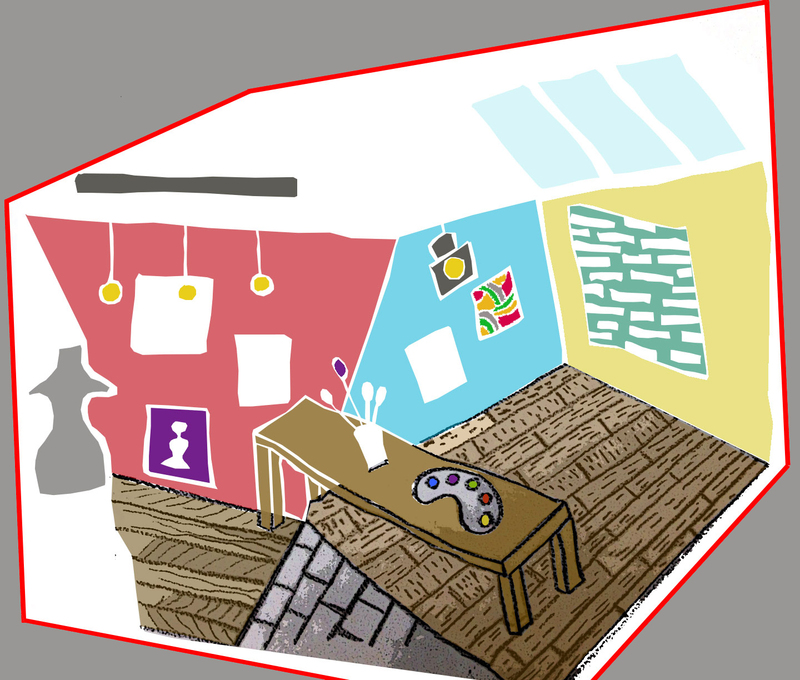 How do artists’ studios contribute to placemaking? On first joining make:good I explored the sustainable provision of creative workspaces, visiting artists’ studios across London, Brighton, Lewes and Sheffield. Some were established by inhabiting old dilapidated buildings earmarked for redevelopment; others were in purpose-built facilities in ‘up and coming’ areas. 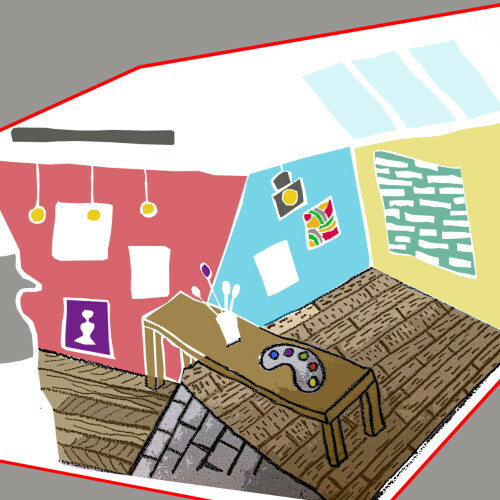 Artists’ incomes tend to fluctuate: as a result they often need to be imaginative in the way they discover spaces to work in, the way they occupy these spaces, and the way they come to establish tenancy agreements. One of the ways artists are finding affordable workspaces is through ‘meanwhile use’, in which spaces are occupied in the short term. Where buildings lie empty (such as those awaiting redevelopment) there is the risk of them becoming dilapidated or falling victim to vandalism. 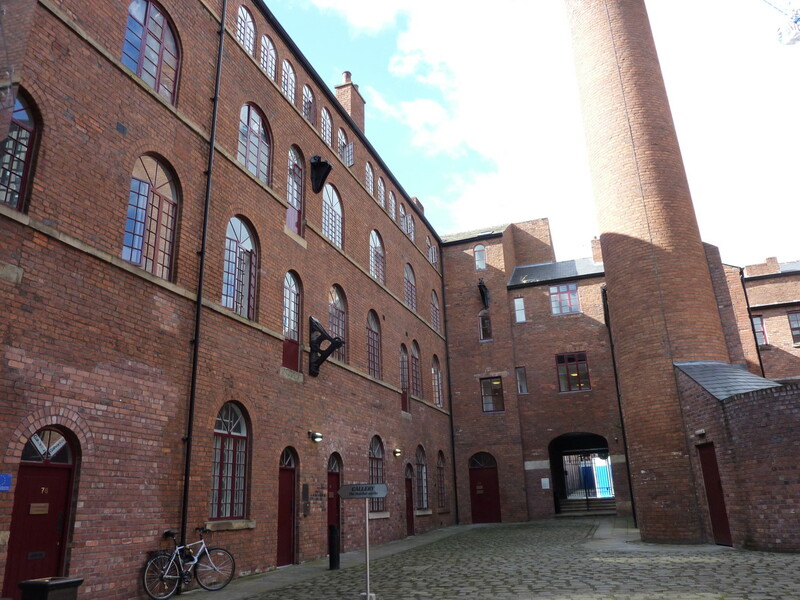 During this pre-development period buildings can be leased out to artists for low or peppercorn rents. Bow Arts Trust, an educational charity in East London, operates in this way. They offer live/work units to artists on short-term leases with the agreement that they will move out once the property comes up for development. This model works as a social enterprise as the low rentals (affordable social housing rates) collected from the artists goes towards a community arts fund that in turn encourages artists to work with the local community whilst earning an income. As a result the presence of artists can help create an environment of community cohesion and activate spaces that may have otherwise been abandoned pre-development. In Brighton I visited Phoenix Arts studio, which was set up by a group of artists in 1991. They found temporary space in a building due for redevelopment, and six years later with the help of Brighton Council, they received a grant which enabled them to buy the building and renovate it. Faced with the transition from being artists to becoming studio managers, they set up a charity that employs a management team to run the building. Funding to run the building comes from artists’ rents and they also have an education programme where in-house artists can offer public classes. 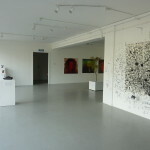 Phoenix Arts hire out rooms for various events, as well as an art gallery. Continuing on my investigative travels I went to Sheffield where I visited the Butcher Works Gallery. 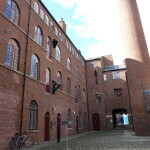 A college that specialises in Education, Health and Care for young people with learning disabilities called Ruskin Mill Trust (RMET) manages three workshops which they lease at a discounted rate to crafts people who agree to provide work experience for their students over a number of hours a week. Agreements are varied and those who can pay fixed rentals for an agreed period are offered some rent-free months. RMET also manages a gallery space and a café, which employs students and serves food using ingredients grown by the students themselves. This project highlights how education, art and food commerce can create an interconnected and complementary business model bringing together different disciplines and ideas. Artists benefit from reduced rental rates for meeting the social aims of management. In essence some of the currency for renting out studio spaces is paid for in time. Over the course of the research there were discussions around the benefits and constraints of the various management models. For example the ‘meanwhile use’ model – whilst beneficial in the short term and helpful for artists to become more established – can also be problematic for those seeking the long-term model of security of tenure. Furthermore, in areas where artists contribute towards creating a positive impact, they may sometimes be driven out by this growing popularity leading to increased rentals. 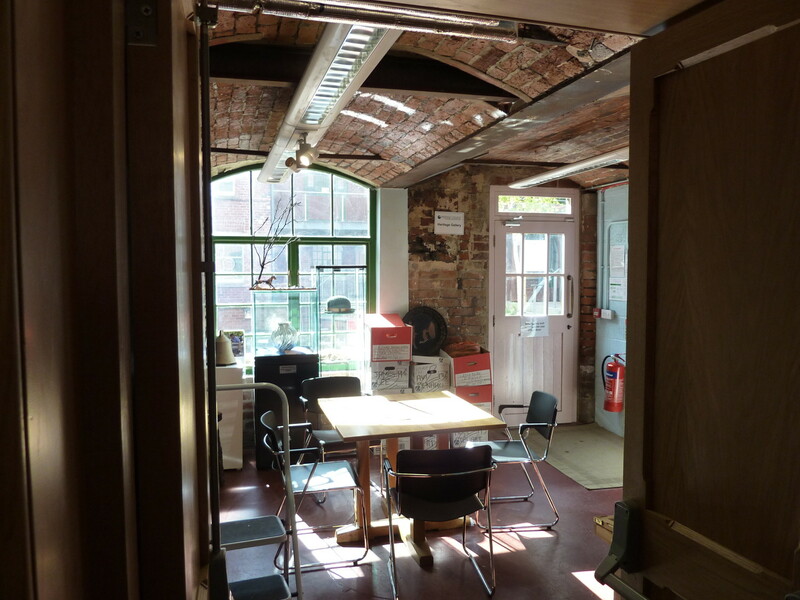 A number of studios I visited are charities that own their buildings and are able to control rentals and reinvest money back into maintaining the building. However in order to maintain low rents a number of these organisations require loans, grants and funding to keep their buildings running and to invest in regeneration or repairs – thus creating a complex business model. 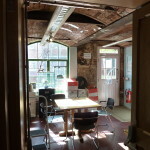 In cases such as the Butcher Works and the Phoenix Arts Studios there are other activities that support the provision of studio spaces so that it is not just artists’ rentals maintaining the business. 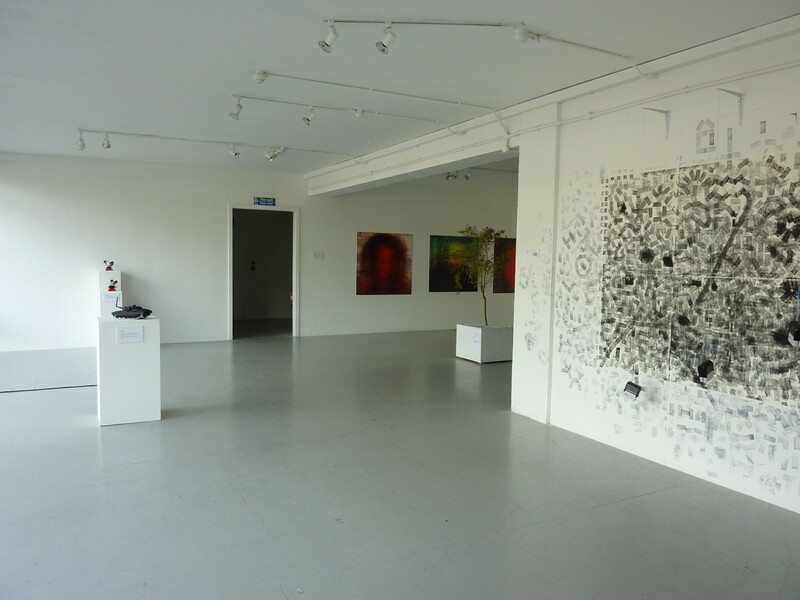 Some studios support artists through having open studio events that bring in buyers for artworks; they offer business training to encourage artists to advertise and sell their work and they also have gallery spaces to showcase the work of in-house artists and promote their portfolios. These are just a few examples of successful ideas and practices that not only sustain security of tenure whilst helping artists to become more established, but also contribute to positive placemaking locally.